The people of Burma especially the middle age person who had gone through the Burmese Socialist days clearly understands the psyche and rationale of the Burmese Generals who construe themselves that they are the only ones, that really love the country while the rest are parasites that does not harbour a pale of patriotism in them and hence it is their bounden historical duty to take power into their own hands. Leading Burmese intelligentsia like Dr Zarni, a Research Fellow at the London School of Economics and U Aung Zaw the chief editor of the Irrawaddy who all had gone through the Ne Win Era are convinced that this so called discipline democracy and the new government by the Junta is but a hoax. The self appointed hook nose, Farang Burmese experts who have no choice but being compelled to dance according to the pull of the strings of their corporate patrons have to laud the Burmese Junta with their theories, lest they may not be able to do any business with the Junta in exploiting the human and natural resources of Burma or are sore afraid that Than Shwe and his henchmen might become another Laurent Gbagbo of Ivory Coast If these experts are sincere, truthful and have an ounce of moral character they should have supported Daw Aung San Suu Kyi a counter part of Alassane Ouattara ( now the legal president of Ivory Coast) for she is legally chosen by the people of Burma. But none of the self appointed Burmese Experts dares to make this comparison. Obviously if it were not for the patron like China and Russia, the dictatorial countries that sits smart in the United Nations Security Council and continue to arm the Burmese regime with their military hardware including the nuclear reactors, Than Shwe and his henchmen should have been in the grave long ago. What more China has praised Burma’s new government for promoting democracy when she herself is not a democracy and is greatly afraid of its own people less they take a leaf out of the Arab revolutions? Beijing denounced the international community criticizing the new Burmese which was just sworn in and instead offered congratulations to the new Burma government. What hypocrisy to witness that Chinese Foreign Ministry spokeswoman Jiang Yu was quick to warn other countries not to meddle in her neighbour's internal affairs. Obviously China, which has close political, military and economic ties with Burma and has long been a staunch defender of its dictatorial partner did not want to see a thriving democracy at its back door. The landscape surrounding sanctions against Burma is still seems to be heavily contested. ASEAN, the International Crisis Group and Chatham House have recently renewed calls for an end to sanctions against the country, which was echoed by the pro Junta five newly elected ethnic groups claiming sanctions should be abandoned because of their impacts on regional development. Yet they closed the blind eye on the sanctions imposed by the military Junta on the country and its own people. It is predictable that Than Shwe, who has so far shown no signs of leaving, will remain in power in the foreseeable future. Even if he does leave, he has selected a “new leadership” whose sole role is maintaining the status quo. No new generation has taken over power in Burma. It is just old wine in a new bottle. Its lamentable that the so called think tank groups and self appointed Burma experts faces its own moral crisis, and has been forced to please their respective corporate bosses brought on by its failure to acknowledge Burma's real political problems and conflicts. All of this is going on without any outside scrutiny, as reporters are prevented from entering the Parliament buildings and coverage of the proceedings by the state-run media is heavily censored. Local audiences say that these broadcasts remind them of Burma's socialist era, when Parliament existed merely to rubber stamp Ne Win's whims, while others compare the country's new legislature to the military-sponsored National Convention that drafted the 2008 Constitution. Thus Dr Zarni wrote that every time Burma’s military dictatorship is framed as “new,” is the lingo of corporate advertising as currently what David Steinberg and its henchmen are doing in New York. The spoils of the positive public relations are shared as it were between the experts and their organizations that prostitute themselves by spinning for their neo-liberal governmental patrons and corporate “donors” in the West and Burma’s despotic regime. While the underlying power structures have shifted significantly, dramatic change is highly unlikely in a country like Burma. No doubt that this is an insult to the common sense of the ordinary men and women of Burma, if not to the commercial and political elites who have concluded that they have more to gain by collaborating with the dictatorship than by standing against it. The loose network of local and global actors framing what the Burmese public knows first-hand to be the same old dictatorship in new garb as something genuinely new needs to be subject to empirical scrutiny in terms of these framers’ ideologies, interests, and the substance of their arguments or lack thereof. The notorious intellectual prostitute Robert H. Taylor since the days of Ne Win, who is the founder of the pro Junta Myanmar Egress, sometime adviser to Britain’s Premier Oil and former London University School of Oriental and African Studies together with Derek Tonkin, former British Ambassador to Thailand and one-time Burma investor for whose UK-based Network Myanmar expert and whose analyses, comments and interviews tend to paint the picture that have played, wittingly or unwittingly, roles as academic white-washers for decades of the Burmese Generals. The simple logic is if Qaddafi’ is influential in the network of academics and their institutions that spanned across the Atlantic, the Burmese dictatorship and their “normalizers” are not doing too badly, either. It would be intellectually dishonest, not to point out the all-too-obvious direct connection between Burma’s massive potential for commercial and aid-business opportunities and the calls for “normalizing aid relations” with the Burmese dictatorship. Jacob Ramsay, the senior Southeast Asia analyst at Control Risks, an independent risk consultancy, was more honest when he said, “Everyone knows that fortunes will be made here once the sanctions are lifted and the economy opens up.” This is the hidden agenda and so no wonder that ICG, Chatham House, ASEAN, China, India and the likes who championed the Asian values blamed Daw Aung San Suu Kyi and the NLD. Lots of silly ideas are doing the rounds again about ending sanctions on Burma. That's largely because the generals swore in a new "civilian" government, which was the outcome of a flawed election last November. Never mind, at least it was an election. So, it is important to give this government a chance. Of course, people who oppose sanctions may not admit that this government is a puppet regime of General Than Shwe, who has been in control of Burma for over two decades. No doubt he will continue to do so in the foreseeable future in different forms. One example, just look at the way he has positioned himself above all power structures, electoral or not, in the new political system. No doubt, sanctions hurt the Burmese people but they will hurt the ruling elite even more. Germany the architect of dictatorship and the origins of the two world wars is full of self-interest in calling for the lifting of sanctions because they want to gain access to Burma's huge consumer and energy market. Berlin has been active in pushing for an end to sanctions. them are inside Burma while some are based overseas led by the betrayers if the revolution composed mainly of old ABSDF leaders who have a good record of turning the 20,000 strong student’s army to 200. Dr Than Myint Oo, brought up and educated in America obviously thinks like an American and could not comprehend of what was life in Burma and even could not comprehend of what really happens in his grandfather’s funeral, will obviously prefer to end sanctions. 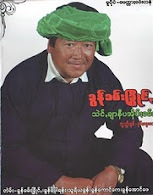 It is no wonder that such a person born with a silver spoon in his mouth only because of the accident of birth called himself a Burmese will produce such pro junta theory. ASEAN is giving the new government a new lease of life as economic is their barometre and obviously do not want to say anything because their political systems are not much better than Burma's. Burma has been a pariah member of the regional grouping ASEAN since its admission in 1997. It has never complied with ASEAN's common calls. But ASEAN prefers no sanctions as Burma's long-running political crisis has made the group look really bad. By all means, sanctions should stay. If the current Burmese government releases all political prisoners and guarantees freedom of expression for all Burmese and ethnic nationalities today, the sanctions could end tomorrow. It is irresponsible, if not illogical and inhuman that these so called foreign Burmese experts, corporate puppets and ASEAN to call for the removal of Western sanctions when the Junta itself has imposed 17 economic sanctions on its own people. Why it did not mention that the Junta has imposed heavy sanctions on its own country and people by restricting the flow of goods from one township to another. How can there be progress and the economy grows with such sanctions and fixed election with a fixed Parliament that is actually the hostage of the military?